October 25-26, 2016, the repersentatives of Informacinė raida visited exhibition "Danish Maritime Fair 2016" in Copenhagen, Denmark. 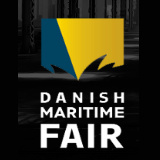 Danish Maritime Fair is the place whe re you can meet representatives of Danish and Scandinavian ports, terminals, shipping lines, 3PLs and shippers. Lot of valuable information about market situation and tendencies was collected discussing with exhibitors and visitors.